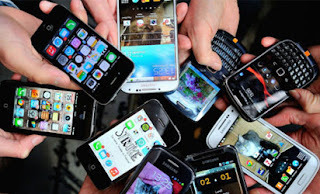 Hello all, in this new post, i will be sharing with you all top 4 simple ways to increase the lifespan and value of you smartphones and gadgets. The cost of maintenance and repairs of smart phones and devices has been on the high side due to the fall of the Naira and the strains associated with accessing forex. Smartphones Although, some of the major damages to smart devices come from online-related vices; viruses and other software related issues, major harm to smart devices comes from having no knowledge of the right accessories required to protect devices from physical damage. Now, more than ever, it is necessary to know and adopt basic measures that old and new users can employ to ensure the durability of their smart devices, thereby reducing cost of repairs. A screen protector is an additional covering, commonly polyurethane or glass, which can be attached to the screen of an electronic device to protect it from physical damage. Tempered glass protectors are widely the most commonly used because they are five times stronger than regular screen protectors. Hence, it is advisable to get screen protectors as they not only protect screens from scratch but they also keep them from breaking when they fall. At present, phone screens are one of the most expensive parts of the phone to replace. A pouch is generally a bag-like material used to protect the external body of devices from wear and tear, as well as fading due to unfavourable exposure and cracks. Pouches are usually made from different materials; latex, leather, wool etc. Getting a pouch for your smart phone is advised because, besides wear and tear that makes the phone look less appealing, impact from a fall or moisture from sweat can damage the mother board of the phone. The cost of repairing that is as good as getting a new phone. All smart devices come with the manufacturers’ unique specifications on the type of charger to use on each device. Aberration from any of the said specifications while purchasing a charger might inherently lead to the damage of the device’s battery and subsequently damage the charger too. So when purchasing chargers for smart devices, it is important to ensure they fit the manufacturer’s specification. Extremely low or high voltage has been found to be quite damaging to chargers and batteries of smart devices. The generally recommended voltage for charging smart devices is 3.7volts, power sources giving out anything relatively too low or higher, are bound to cause serious damage to the device. It is best to observe electricity thus, if the light bulb looks unusually bright, it’s most likely high voltage, you shouldn’t charge with that and vice versa. However the easiest thing to do is to get a voltage stabilizer, it would save not just your phone but other appliances and gadgets in the home.